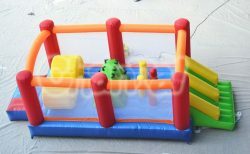 This toddler inflatable bouncer is made of nylon, it’s safe enough to support kids playing inside. 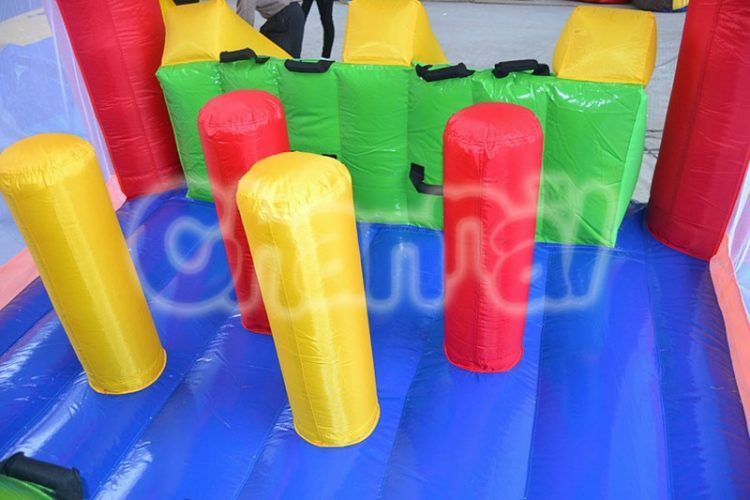 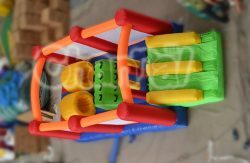 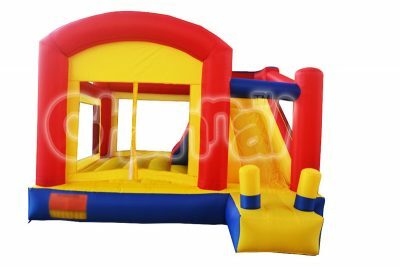 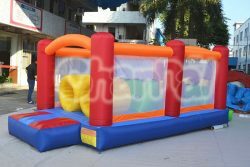 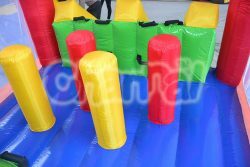 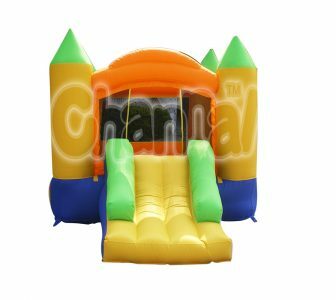 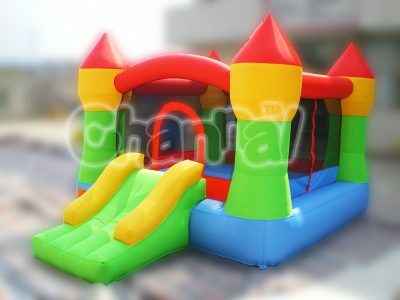 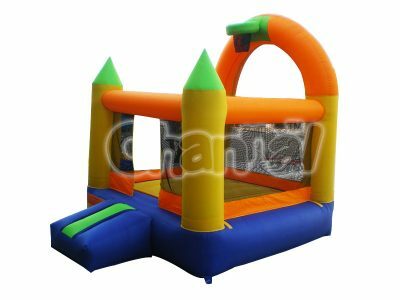 There are three types of obstacles inside the bouncer, the little climbing wall, little inflatable columns and short inflatable tunnel. 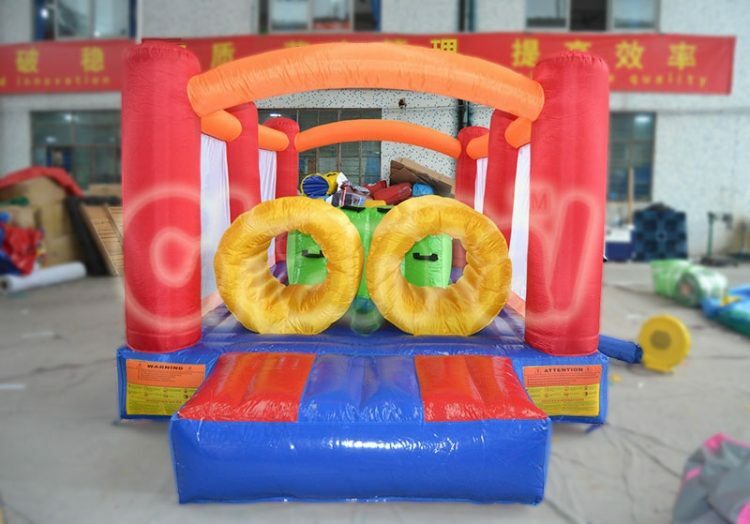 Not done yet, a dual lane slide is provided in another side to the open front. So you can’t expect more of any bouncers than this one.